Your brand’s growth and success hinges on its reputation. In a digital landscape where consumers can discover and leave feedback across multiple sites, online reputation management is becoming more challenging and important than ever. 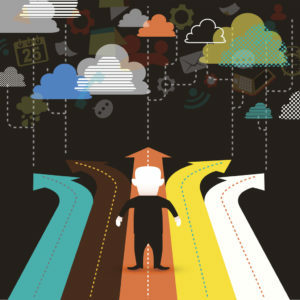 To get a better grip on the strategies and practices you should employ for your business’s reputation, we have rounded up several blogs, articles, videos and podcasts from relevant sources. Within this roundup, you will discover some of the best reputation management advice available. In this detailed guide, online marketing guru and NYT bestselling author Neil Patel goes over every aspect of online brand reputation management and transparency, from responding to negative reviews the right way, to taking action against defamatory or fraudulent reviews. CEO of AXIA, Jason Mudd delivers seven useful tips for leveraging social media platforms to steer the conversation, build community and trust, and encourage customers to leave reviews and personal stories. In this short read on Hubspot, Mor Assouline, Practicepanther.com’s VP of Sales, goes over best practices for using Google’s review platform as a business owner, such as setting up review notifications and always responding to both good and bad reviews. He even gives some examples of what these reviews should ideally look like. Steven Scheck, the Principal of Inspire WiFi, the nationwide leader of WiFi networks for the multifamily, hospitality and healthcare industries, lists and delves into six crucial ways to manage your business’s online reputation, including claiming your brand name, monitoring your reputation, responding to all criticism, actively engaging with social media, registering with local directories, and producing high-quality, relevant content. In this concise video, customer service expert Adam Toporek reviews the book “Talk Triggers” by Jay Baer and Daniel Lemin, which is about how brands can create word of mouth step by step. Toporek praises the book and reveals his “one win” takeaway: that ‘word of mouth’ is still the best reputation management strategy, one that every business should employ. In this 12-minute Ted Talk, Bryan Kramer, CEO of PureMatter, pushes back against the narrative of social media’s negative influence by exploring the power of sharing and human to human connection, sharing his own story about how social media transformed his brand and his life for the better. Online personality, renowned public speaker and marketing entrepreneur, Gary Vaynerchuk reminds readers of the connection between personal brand and reputation, and just how valuable it is to focus on building brand reputation in the long term. This blog post details nine tips for expressing, expanding and enhancing your online personal brand. 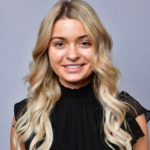 In this blog, Jason Sickler outlines the importance of social media for online reputation management, and how brands should go about using these platforms to their advantage, such as signing up for all relevant platforms, becoming verified if possible, regularly posting relevant content, responding to messages, posts and reviews, and more. In this episode of the Social Zoom Factor, Pam Moore gives listeners advice on how to protect and enhance their online brand. You will hear about the importance of trademarking your brand name, securing web domains and social channels, investing in online security, engaging with your audience, and much more. This brief and useful blog post gives readers the main dos and don’ts of replying to negative reviews, offering some advice and examples for how to go about responding to such comments in a productive way that may in turn build brand reputation. In this research-driven article, VP of marketing at Buffer Kevan Lee dives into the ways in which human emotion, namely positivity, drives social media sharing. The post features findings from multiple studies across social media platforms, with the conclusion that positivity ultimately builds brand reputation, encourages social sharing and yields more engaged followers in the long run. Online reputation management depends largely on online presence and visibility, especially at the local level. This detailed article gives readers insight into the importance of data management and maintenance in determining a brand’s visibility and prominence in local searches, its authority in the industry and its ability to acquire and maintain an engaged, loyal customer base. Author and business advisor Chris Brogan discusses the ways in which consumer culture is shifting from a desire to fit in to a desire to belong. More specifically, Brogan states that people connect more strongly with brands that authentically share their values, meaning brands must focus their attention on smaller, more specific buyer markets and potentially make political statements. As risky as this all sounds, Brogan argues that this is where the culture is heading and that a brand’s reputation is becoming more closely tied to these personalized markets. Sameer Somal, CFO of Blue Ocean Global Technology, writes for Social Media Examiner in this comprehensive guide for social media marketers who manage their brand’s online reputation. Everything is here, from key advice to statistics, images, examples and links to relevant resources that will help you get the most out of social media and review sites as you build your online brand reputation. In this SproutSocial blog, Jenn Chen gives you tips and tools to better monitor your brand’s online presence. Chen specifically says to monitor branded keywords and industry-related trends to keep tabs on your online reputation and stay ahead of the competition. Some of the best ways to do this is by investing in the best reputation management services, sentiment analysis algorithms, customer engagement data and competitor analysis tools. Without the aid of an online reputation management (ORM) vendor, maintaining a positive online reputation can be a challenging task. In this ebook, you can explore the importance of utilizing ORM services and how to choose the right vendor for your company’s needs. Reviews on Google and other review platforms are the leading factors of how people decide to give their business to one company over the other. Because of this, online reviews have proven to be a dominant factor in how companies rank in search engine results. With this e-book, you can find best practices for generating and managing online reviews where a strong SEO ranking is the end goal. What is the Voice of the Consumer? How to Pick Your Online Reputation Management Vendor? Maintaining a positive reputation is necessary for the continued success of a business. The current digital landscape gives customers and employees plenty of opportunities to rate and review a brand. This is both a blessing and a curse for business owners and marketers, who must navigate all review sites and social media platforms in an attempt to manage their brand’s reputation. Without the aid of an online reputation management (ORM) vendor, this can be a challenging task. In this e-book, you can explore the importance of utilizing online reputation management services and how to choose the right vendor for your company’s needs. Providing Insights from Deep Data Analytics Based on Reviews, Ratings, etc. Highlighting Positive Online Reviews for Marketing Campaigns, Social Media, Landing Pages, and more. Within the e-book, you will dive deeper into each of these categories, uncovering why they are all vital to thorough online reputation management for businesses. The online reputation management solutions listed above are the bare minimum of what a great ORM vendor should provide. Read the e-book to Learn All of the Criteria needed to properly Choose an ORM Vendor for your needs. Binary Fountain’s Senior Vice President of Marketing, Aaron Clifford was featured on the “That’s What They Said” podcast from Touch Point Media about how the transparency space has evolved and what is next for hospitals. Engagement Survey that found that 51% of Americans sharing personal healthcare experiences via social media and online ratings and review sites. “An increase of 31% to 51% from 2017 to 2018 was a massive change,” he says, noting results from the previous year’s study. You can listen and download the complete podcast episode here. Ask an Expert: How Important Is Review Management for Multifamily Properties? In this post, Account Executive Robert Guider tackles questions related to managing reviews for multifamily property managers. How important is review management for multifamily properties? 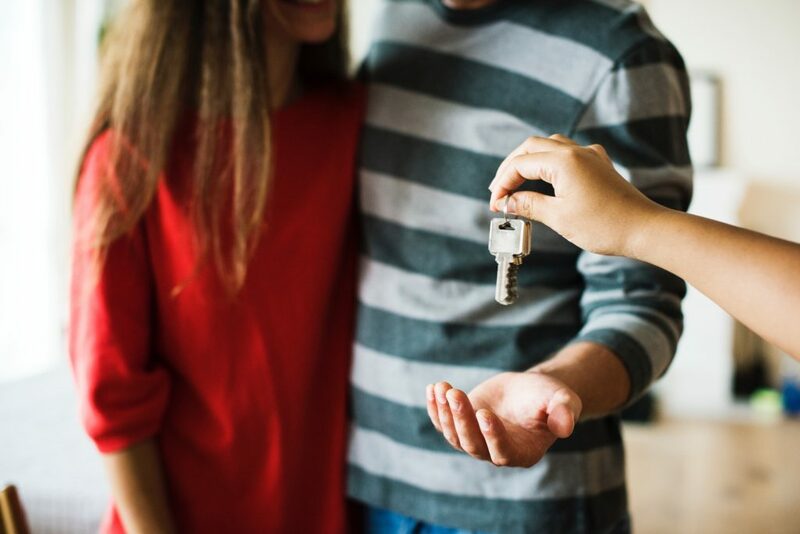 Robert Guider: Choosing to live somewhere is a major decision, so prospective tenants pay close attention to the reviews and ratings of the properties they browse. If multifamily properties plan on bringing in more business, they need to maintain positive reviews that reflect their brand reputation. Of course, it is nearly impossible to regularly read and respond to all reviews across all sites and platforms manually. Review management services gather and centralize all of this data on a single dashboard. This allows multifamily property managers and owners to easily see every review they receive, respond to them in a timely manner and gather actionable insights to improve their operations and stay ahead of the competition. How do reviews relate to brand visibility? The reviews you receive also play a major role in determining where you show up in searches. And it is not just about the quality of reviews (whether they are positive or negative), but also the quantity. Properties with a higher number of reviews tend to rank higher in search results, bolstering brand promotion and authority. This is why managers should focus on generating a greater volume of online reviews by reminding and incentivizing tenants via survey campaigns and other means. Can bad reviews and ratings ruin your reputation? Yes and no–it is really a matter of how proactive you are in dealing with these reviews and how you can leverage them to make necessary operational changes. Most consumers will expect to find at least a couple of bad reviews wherever they look. What they might not see as often are sincere, detailed responses that reveal a brand’s commitment to improvement and customer satisfaction. Most people do not care about reviews that are over 120 days old. People understand the importance of frequency, that management companies change. They know that property managers change, and they know that renovations change properties. Location and competition matters, too. If you are a luxury building with less than a 4-star rating, you might be in bad shape. But, for a smaller city where there are fewer buildings, this becomes less important. So, if you are dealing with a legacy of bad reviews, you have some work to do on building brand reputation. But it is not the end of the world. If you happen to have great reviews, do not get complacent. Somebody might see a 4 or 5 stars and look at your reviews, but if five of the last six comments are negative, they are likely not coming to take a tour. 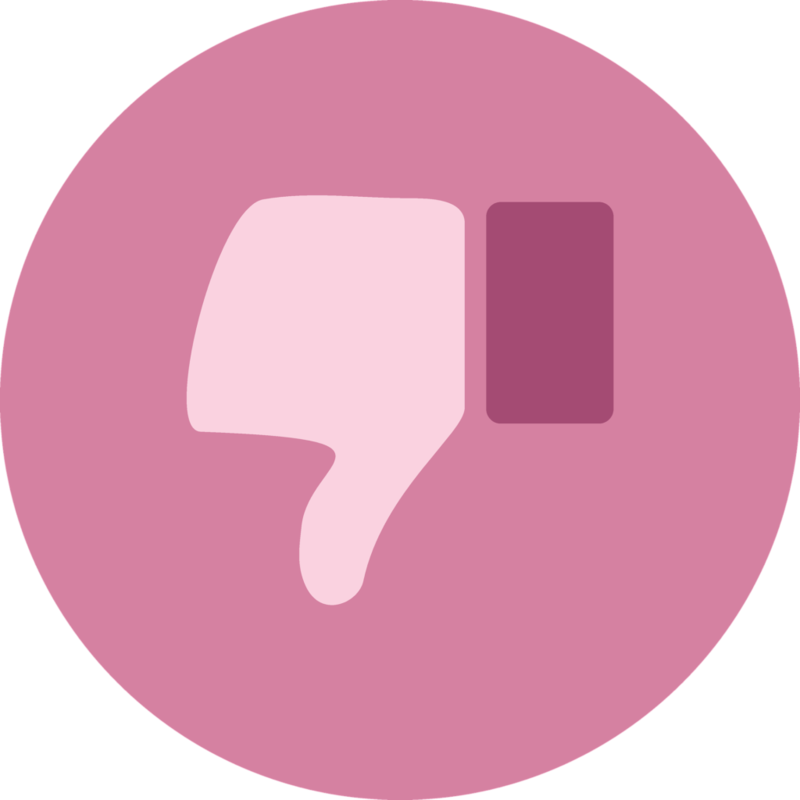 How should managers respond to negative reviews? First, do not start an argument. You may be right, but nobody else knows that. While you might win the battle, you will certainly lose the war. Address the issue he Avoid just spitting out a canned apology like, “We are sorry you had a negative experience. Please call us at this number.” The only exception here is if it is a 1-star review with no comment. Do not sweat a negative review or two. It will happen. You will never be able to satisfy everyone, in anything. As long as you are addressing issues as they come up, doing the work to keep them from happening again, getting more positive feedback than negative feedback, and moving things in the right direction, you will maintain a good online reputation. What about fake, fraudulent or bad faith reviews? How do you find them, and what can you do about them? Some just stick out right away. Other times, if you are not at the property for which the review was left, you might not know the whole story. Talk to your property manager, communicate with them, and respond to them in the same way you would any other negative review–even if you know it is fraudulent. You might know the truth, but others will not. You can also request that a fake or malicious review be taken down by the listing site, like Facebook, etc. But, frankly, if it does not violate their terms of service they probably will not take it down. Unfortunately, you do not have a lot of control over this, so you have to compensate by drowning it out with positive reviews. Keep in mind that fake reviews are not tremendously common. Everyone will deal with from time to time, but they are more centered around disputes than outright fraud. You will commonly see someone with a really lengthy, outrageous complaint about their security deposit being taken away, for example. After speaking with the property manager, they might inform you that the tenant flooded their apartment and everything had to be replaced and fixed, so of course this was the case. In a certain respect, this is a matter of opinion, so you have to treat it that way. Diffuse the situation as best you can and drown it out with reviews from your happy residents. What are some advantages of review management services? One of the largest benefits of competent review management is less pressure. With these services, you don’t have to go look for reviews and you don’t have to chase people down to respond to reviews if that is their job. At Binary Fountain, we put everything you need to see in one location, saving you a lot of time. Managers who once had to do this all by hand really notice a difference when using our service. As far as results go, review management services will help you obtain you more reviews while letting you easily see what is negatively impacting resident satisfaction so you can act on it. Our clients have been able to make positive changes that lead to better performance for their properties. This, in turn, will lead to more positive online reviews in the future. To see part 1 of our Ask an Expert series, click here. As a multifamily property manager, you have a lot on your plate. You are in charge of everything from setting rent prices to screening potential tenants and maintaining the property’s value. If all of this was not enough, you must also pay close attention to your property’s online reputation. Today, social media platforms and online review sites are the main sources of information for residents. When someone is looking online for a new place to live, they are most likely going to take these online ratings into consideration. Without a strong online presence, you could lose business and miss opportunities to increase your brand reputation. But with all the duties property managers must perform, how can you spend enough time managing your online reputation? With so many platforms, reviews and systems, this seems like an impossible task. Without the help of an efficient reputation management workflow, you simply cannot read every relevant review or respond to every complaint. Here we will take a look at the differences in the reputation management workflows between a property manager with access to services like Binary Fountain, and one without such access. Without the aid of online reputation services, you as a property manager must maintain your online presence manually. The challenge here is twofold. First, reviews, ratings, comments and postings are not centralized. They are distributed among several platforms like Apartments.com, Rent.com, Zillow, Facebook and Google, just to name a few. Each platform is a distinct system with its own login, terms of service and layout. Without a reputation management workflow, you must be aware of each platform their property is listed on as well as the best practices for using each one. Even if you master the ins and outs of every platform, you still have to take the time to manually update and monitor each one individually. The second problem has to do with data analytics. Without a centralized online reputation management plan, all of the data across platforms is siloed. You cannot easily track words, comments or phrases that commonly occur on various sites. You also have to manually view multiple rating systems to get an idea of their average score. This is not efficient or helpful in any meaningful way. Ideally, a property manager would want a system that collects all data from all relevant sources and analyzes it to uncover key insights and provide a current overall online rating. From reading the situation above, the importance of online reputation management services should be clear. But these services are good for more than just gathering data in one place and breaking it all down. They are also a key component of brand promotion. Property managers who utilize these services can see reviews and ratings from various sources in one central location. This saves plenty of time and effort that would otherwise be spent perusing dozens of websites. Additionally, this makes it possible for you to respond to every review you receive. Doing so helps you better engage with customers as a property manager while boosting your online presence. With a stronger online presence, properties can more easily gain a greater number of reviews as well. The more reviews your business receives, the more highly ranked it becomes on search engines and the more likely customers are to trust it. In other words, reputation management services are also a powerful way to generate more reviews and therefore promote your brand online. Today, success is closely tied to online reputation and presence. As online reviews continue to increasingly influence customer decisions, online reputation management services become more important for all businesses, especially multifamily property managers. Without these services, you could potentially fail to keep up with all the reviews you receive, receive fewer reviews, overlook key insights to improve operations and miss out on many opportunities to promote your brand and engage with your customers. Want a demo? Book one here. Chances are, if you are visiting our site, you know the value of taking control of your online reputation. The problem is, not everyone in your organization may think the same way you do. 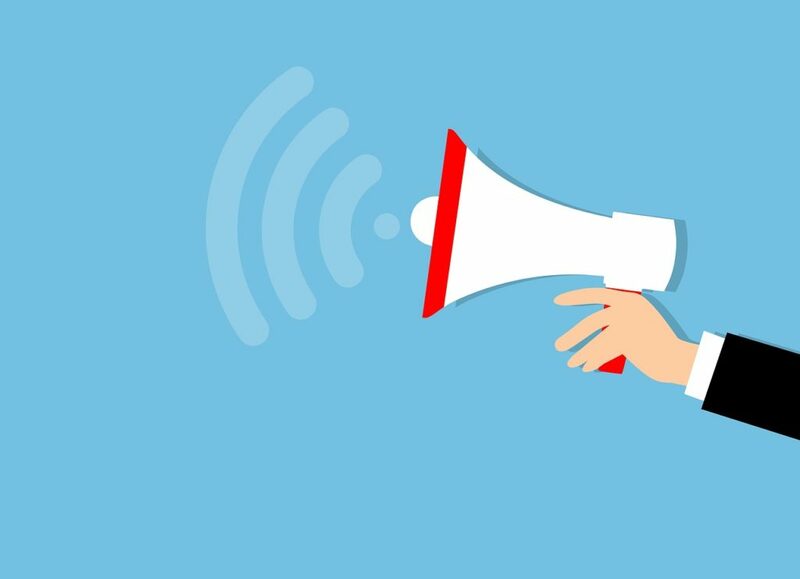 In order to sell the idea of listening to the voice of the customer, you need a comprehensive sales plan for not just your direct leaders, but for the entire company. That means getting executive leadership onboard so they can influence their teams to adopt a customer-focused mindset. Remember, becoming a customer-centric company requires buy-in at all levels and spans across the entire enterprise. You are aiming for long-term culture change. We’ve put together some tips on how to get your reputation management program off the ground. If you are in any service related field, you know consumers are actively using social media and review platforms to give their opinions on everything, from the friendliness of client facing restaurant staff to the quality of care they receive at a hospital. 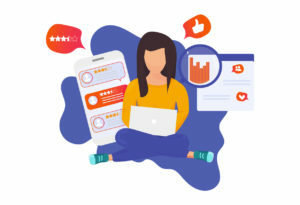 Online reviews and ratings are a serious matter, as many consumers trust them as much as they would trust a word-of-mouth recommendation from a friend. If consumers are viewing them as a source of truth, your organization should too. Sometimes this means dispelling myths that online reviews are “fake” or that the customer is somehow at fault. 91% of 18-34 year-old consumers trust online reviews as much as personal recommendations. If you are in healthcare, 3 out of 4 patients say online reviews influence who they chose as a provider. 37% of consumers won’t use a business with an under 4 star rating. Now that you have some key statistics and understand why reputation management is important for every organization, we are going to show you how to pitch a reputation management program. Getting buy-in for any idea from executive level leaders is never easy. It usually requires careful planning, excellent timing and an understanding about what matters most to them. If you want to get a reputation management program started at your company, the way in which you frame your idea will greatly impact the odds of getting it approved. Following these steps will help you set the stage to knock your proposal out of the park. 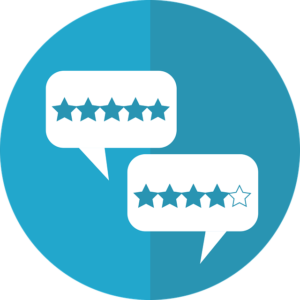 One of the easiest ways to get a reputation management program underway is to take a look at your current customer reviews and gauge what is being said about you online. Are people enjoying your level of customer care? Is your customer support team responding quickly to issues? Do they wish the product came in a different color? Are your office hours listed incorrectly online? Chances are, there are probably some small opportunities for improvement that you can find that would be easy to implement without a huge ask. Documenting these and either taking care of them yourself (or in tandem with other members of your organization) is the first step to creating a program. Next, respond back to the customer and let them know that you made the desired change and see if they would be willing to visit your business again and change their review. Once you’ve done that, measure the success of the change you made. Did your star rating go up? Are sales up after adding another option to your offerings? Measure these small wins and begin to share them out to your area of influence. This is going to be used later in your executive presentation as an internal use case. Lastly, set your sights on a larger organizational problem that reputation management could help solve. This shouldn’t be something that will completely change your business model but should be large enough to drive some organizational change. Executives like it when cross-functional teams come together to solve a complicated problem that aligns with an overall organizational goal. This means you need to look at your business’s current priorities and find a way for the reputation management program to become integrated with them. This usually includes looking across the organization and finding another area of the company that could benefit from a closed feedback loop. You will want to get buy-in from these different areas so you aren’t presenting your idea for a reputation management program in a vacuum. This will only strengthen your case in the eyes of C-suite leaders. You will also want to find an outside vendor like Binary Fountain to help you with the difficult task of monitoring, analyzing and responding to customer reviews. This usually means that there will be costs associated with starting a program. You will have to figure out which vendors you want your executive team to review and give them an estimated ROI with each. Remember, the ultimate goal of a reputation management program is to attract new customers, so weigh that heavily in your calculations. For example, if you are working for a healthcare organization, the better your online reputation the more likely new patients are to visit your website or call your office. You should have some idea of how much an average patient visit is worth to your organization and estimate accordingly. Additionally, depending on your practice, you can leverage your high ratings with payers to list you more prominently in their directory, hospitals to refer more to you out of the ER or discharge, urgent cares to get more referrals and simply being recognized as an industry leader. In the future, this could be an important part of improving your CG-CAHPS scores, which could impact your overall reimbursement. Having a good understanding of your organization’s business model will help you understand the potential impact a reputation management program will have on it. Now that you have a plan together, it’s time to take it to the key stakeholders. 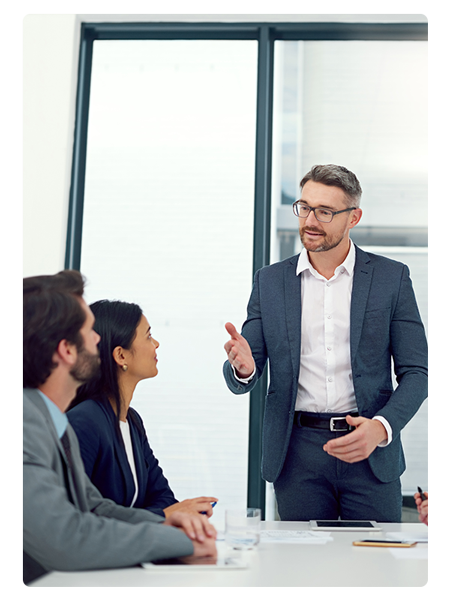 Before presenting, make sure your timing is right, that your proposal makes sense for what the strategic vision is for your organization and that you have a commonly understood goal. The best time to present your ideas will be when organizational priorities shift, when a customer review causes unrest within the company or when your executive team is setting global priorities. You want to make sure they understand that a reputation management program is a long-term strategy that will continue to grow over time, but you also want to make sure you aren’t asking for the moon right away. We recommend taking a crawl, walk, run maturation approach. This means you need to have a clear vision of what problem the program will solve in its first iteration and focus on an easily understood goal. This will help leadership understand how much of an investment they are making and what the expected outcome will be. Returning to our example of a healthcare organization, patient experience managers would want to ensure all physicians and hospital staff have bought into the reputation management process to inform their performance and their success. If reviews reflect that office staff is not doing enough to help patients get appointments, then management has to take the criticism to heart and make appropriate changes. The reputation management process is not an easy ordeal, but the actionable insights your team will receive are well worth the effort.